With an oral examination and x-rays of the mouth, Dr. Malan can evaluate the position of the wisdom teeth and predict if there are present or future potential problems. Studies have shown that early evaluation and treatment result in a superior outcome for the patient. Patients are generally first evaluated in the mid-teenage years by their dentist, orthodontist, or by an oral and maxillofacial surgeon. All outpatient surgery is performed under appropriate anesthesia to maximize patient comfort. Our doctors are trained, licensed, and highly experienced in providing various types of anesthesia for patients. 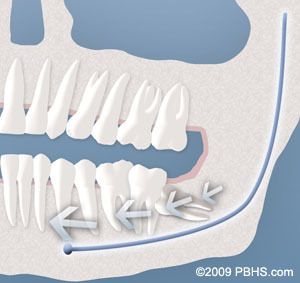 Are you ready for a Smile Transformation? Dr. John Malan is accepting New Patients! Take control of your smile and Call us Today! Most people prefer to be unaware of the experience when they have their wisdom teeth removed and usually decide to be sedated. 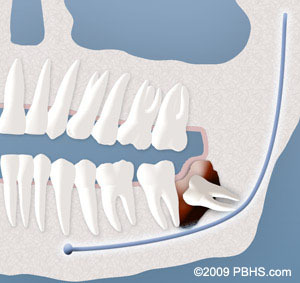 You will be provided with appropriate anesthesia options at your consultation. All outpatient surgery is performed under appropriate anesthesia to maximize your comfort. Our office staff has the training, licensing, and experience to provide the various types of anesthesia. These services are provided in an environment of optimum safety, utilizing modern monitoring equipment and a well trained experienced staff. The Surgical Care Team, the office facilities, and the doctors are inspected on behalf of the Board of Dental Examiners on a regular basis. On the day of your procedure, you will take medications to help minimize post-operative pain and swelling. We ask that a parent or responsible adult accompanies you to the office and plans to stay with you the rest of the day. The procedure will take about 30 to 60 minutes and you will probably be in the office for 90 minutes. Recent advances in medicine and technology allow patients to undergo wisdom tooth removal in a manner, which promotes rapid healing and minimal post-operative discomfort. State-of-the-art sterilization and infection control techniques are used at all times. On the morning or afternoon of your surgery, it is essential that you have nothing to eat or drink (excluding prescription medications with a sip of water) for at least 6 hours (preferably longer). This does not mean you should try to fit in one “last meal” exactly six hours before your surgery. Having anything in your stomach can increase the risk for serious anesthetic complications, including nausea and vomiting. Your procedure will be rescheduled if you have not heeded these guidelines. We may provide you with a prescription for pain medication at your consultation appointment, which for your convenience, can be filled in advance. When you are seated in the surgical room, we will make every effort to make you as comfortable as possible. If you are going to be sedated, we usually will place an IV in your left arm. This is a quick and nearly painless procedure that ensures optimal delivery of your medication. Local anesthesia is given to you afterwards to ensure comfort, and allow adequate time to travel home and rest. You will be sleepy for a significant portion of the day. If your surgery requires stitches, these are usually the type that dissolve in 3 to 5 days and do not require removal. You may also notice a sensation of your gums feeling swollen and pulling away from your teeth. This is all part of the normal recovery, and will subside in several days. Once the local anesthesia wears off, you may require prescription pain medication. Please try non-narcotic anti-inflammatory medications such as ibuprofen (Advil®) first, to see if that adequately treats your pain. If not, begin your other prescription pain medication. The local anesthesia may last until the following day, and should not be confused with an injury to your nerve. We recommend starting your post-operative diet with clear liquids such as jello and broths, gradually increasing in substance as your body permits. We do not recommend using dairy products such as yogurt, ice cream or milkshakes on the day of surgery, as nausea and vomiting may develop in conjunction with the anesthetic and pain medication. If you are given antibiotics and you take birth control pills, please be aware that the birth control pills might become ineffective and take appropriate precautions. At the time of your consultation, your specific situation will be discussed in greater detail. We encourage you to ask any questions you may have. If new questions arise after your consultation, please call our office at Nampa Location Phone Number 208-505-1946 to speak to one of our patient care coordinators. Our Board certified Oral Surgeon John Paul Malan, DDS of Owyhee Oral & Facial Surgery specializes in offering a full-scope of Oral and Maxillofacial Surgery procedures. Dr. Malan and staff are bilingual in Spanish & English. Come see us at Nampa or Fruitland ID office or call us. Owyhee Oral & Facial Surgery Call our office.